And if one ball went out we threw two more in, twice! Sadly took home victory on this afternoon. We’ll be coming back stronger, and take this in our stride. 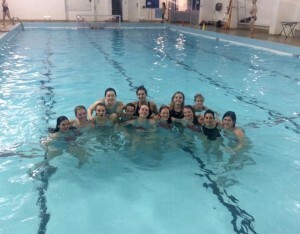 After just two weeks of training, the women’s water polo team travelled down to the Leys for their first match. 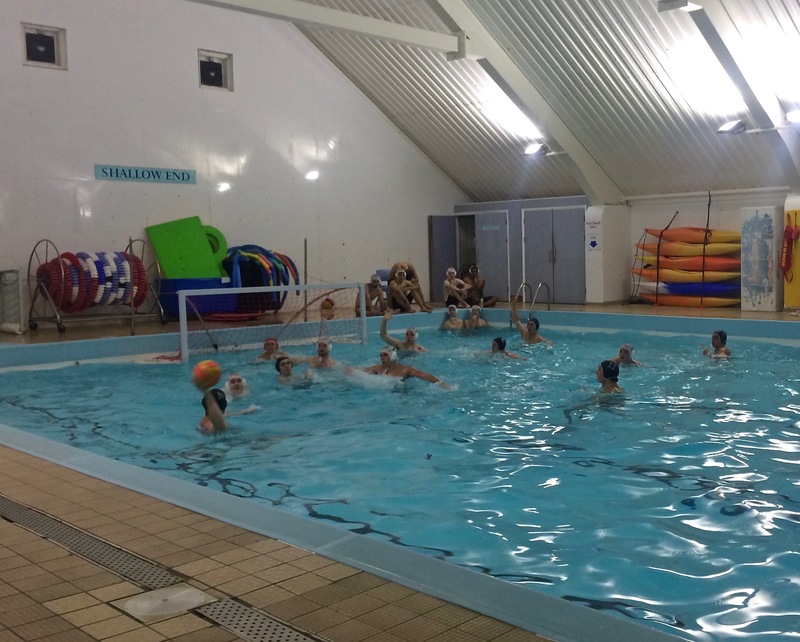 I use the word ‘travelled’ as a force of habit; this is one of the only games that won’t include at least an hour-long journey to reach a pool that complies with water polo regulations. But I digress. Expecting a friendly Upolo match, and still awake given there was no long drive, the women approached the game without too much apprehension. The first quarter showed promise, as the team kept a close eye and solid defence on KCL’s stronger players. Only one shot whizzed past the new goalie Blandine Bénézit. Shortly thereafter, Feng fired a return goal in to make it known that we weren’t only here for the fun. The second quarter saw Cambridge’s strongest attack, yielding a total of five goals against KCLs two. But just as our scoring picked up, so the more light hearted nature of the game decreased. Former Captain Turrell victoriously retaliated against some aggressive play with a goal, mixed in with another solid two from Captain Schubert. 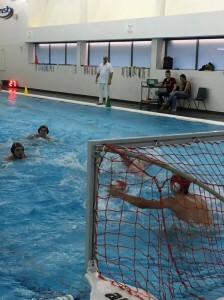 Confusion over the rules of playing in a shallow pool did not interfere with the team’s defence as they implemented a few drops onto KCL’s stronger players. 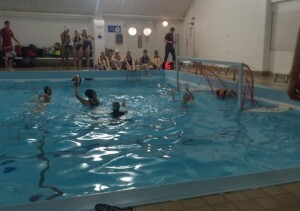 As the quarter drew to a close, the Cambridge women were feeling comfortable setting into a 6-3 lead. But as the game drew on, it got much less attractive. The last quarter was filled with intensity, as KCL surged back, eager to prove the game was not yet over. 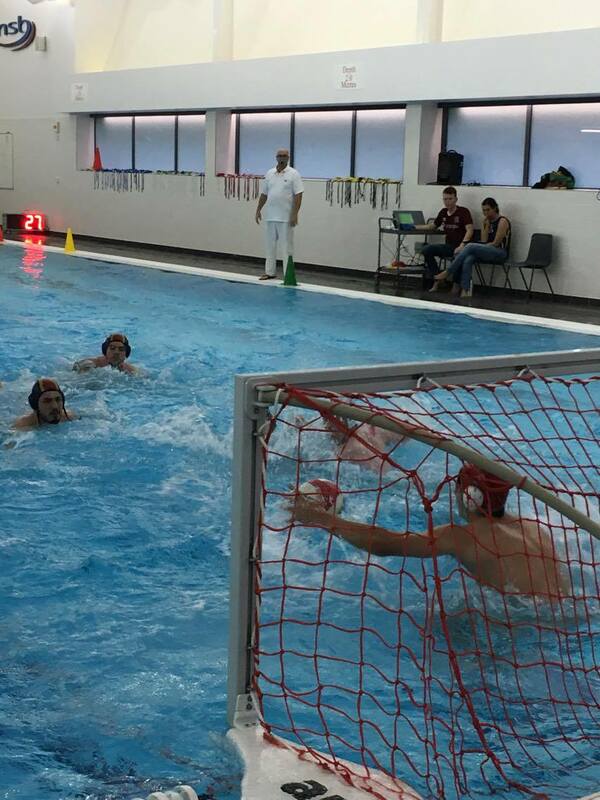 With some ‘unfavourable’ refereeing, KCL pounded in five goals against the frustrated Cambridge team. But a highlight of the quarter was a decisive shot from Flaherty her second of the game, proving once again that Canadians are a real asset to our team (I’m not biased I swear). 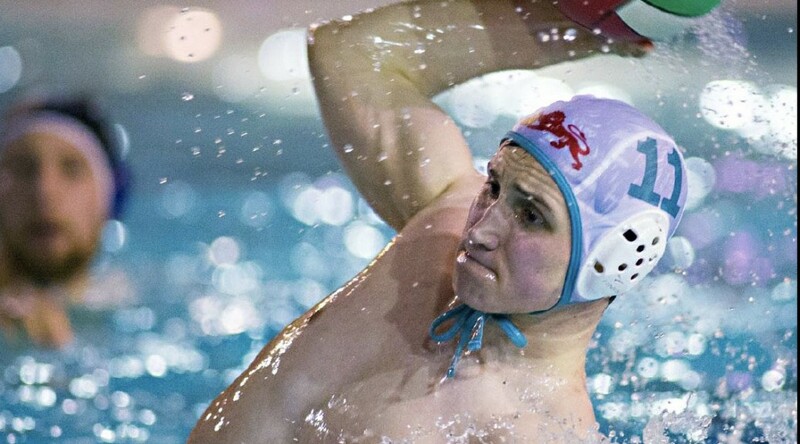 The shot boosted morale and the team surged back stronger in the last few minutes, but alas it was not and the final score fell 9-11 for a KCL victory. Despite the loss, a hearty congratulations goes out to Lamaison, Giordaniello, Talarmain, and Bénézit for their first game for Cambridge. 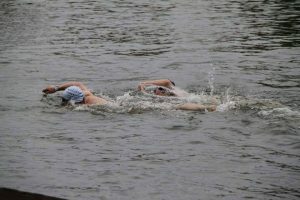 There was plenty of potential in the water and the team looks forward to harnessing it for the match against O*ford next week, where they will be welcoming even more of the new squad into the water. 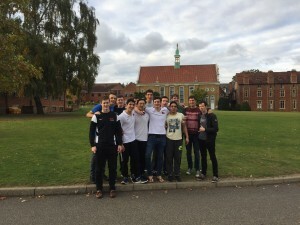 After a fantastic land warm up by the team which included a walk to the wrong school in Bishops Stortford, the team were in great spirits before the tournament. Whilst we were somewhat intimidated by the army team’s large rigs and receding hairlines, one look at our very own man mountain Balint calmed our concerns of a physical mismatch. A defensive lockdown from both sides and some interesting shooting from our own team led to the 1-1 draw. Man of the Match went to Niall O Caoimh for a stunning shift in defence with highlights including, blocking literally 18 shots, and being Irish. This game was summed up by one man and one man only, that is Youssef ‘Bulldog’ Badr. His roller coaster of emotions started with the original team email where his name was sadly outside the privileged 13 to grace the first team. After a few people were subjected to rants and a passive aggressive message or two later, Youssef found himself on the train down to Bishops Stortford for the big tournament. Both in attack and defence in this game Youssef excelled and shone brighter than anyone else, clearly his keen training over summer has proved useful. A personal highlight is his assisting pass to Adam, which reminded me of Paul Scholes picking out a teammate’s big toe from 90 yards across Old Trafford. Long live Badr. Coming off a high in the last game came a stern test against club side Colchester. Whilst they possessed a few decent players in their arsenal, it seemed their tactics were nothing short of disgusting. Implementing child labour strategies as we faced off against what can only be described as a pre-pubescent collection of conscious bones. Whilst the game seemed to be under control, in the last two minutes we squandered the game with poor defence of annoying route one polo. Man of the match went to Adam ‘incredibly American’ Streeter for his display just after half time as he proceeded to pull off exactly what he explained in the team talk and pull an unwitting victim into pit and savagely slammed the ball home. His performance was improved by phrases such as ‘Big D’ and ‘Great O guys’. GDBO GDBO GDBO. I love beating O*ford, even though I said I didn’t care, I really do. We controlled the whole game and they only had a shot when Rhys had an interesting understanding of the word ‘slide in to the corner’. The best bit was that no matter who we put in the pool we still spanked them back to that horrible excuse of a university they hail from. One man (basically a child) stood out in his abuse of their scattered defences. Ben ‘probably TJ’ TD was pinging them in from literally anywhere and was only denied a beautiful hat trick by some dubious reffing. A great start to the season for our fledgling prodigy. We came 2nd in the tournament behind only O*ford, although we all know who the real winners are. 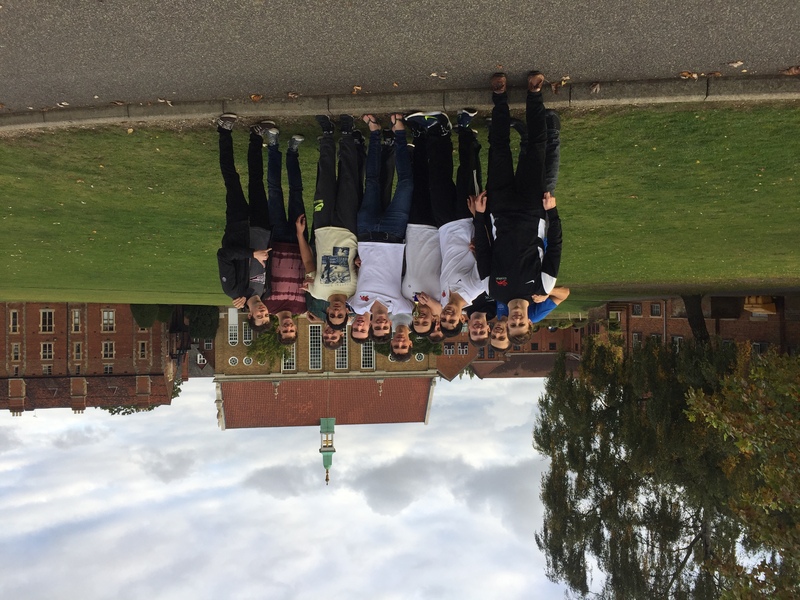 An unbeaten weekend was capped off by a valiant display by our 2nd team against a decent Kings College London team. 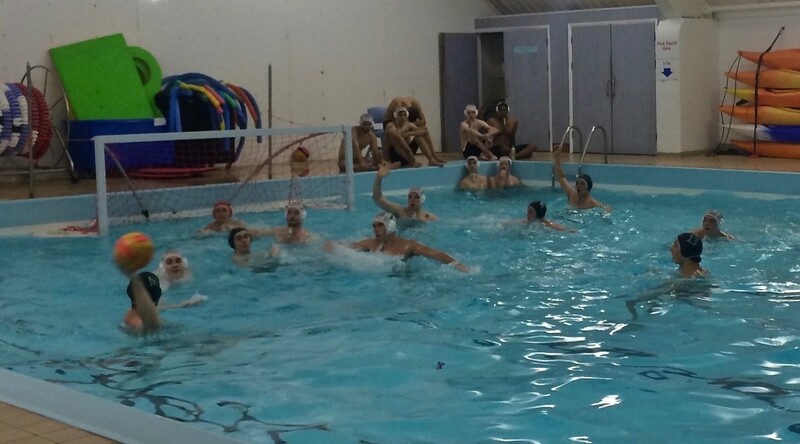 With the team 3-5 down going into the final quarter, a combination of stellar coaching by yours truly (mostly that I feel) and the combination of V’s 5 metre shooting with Balint’s dominance in pit meant the team cruised to an 8-5 win in style. It truly was men against boys. Man of the Match was easily rewarded to Brian in net as he saved shot after shot after shot. The other team was basically shooting at a reinforced brick wall with arms and a soothing American accent. 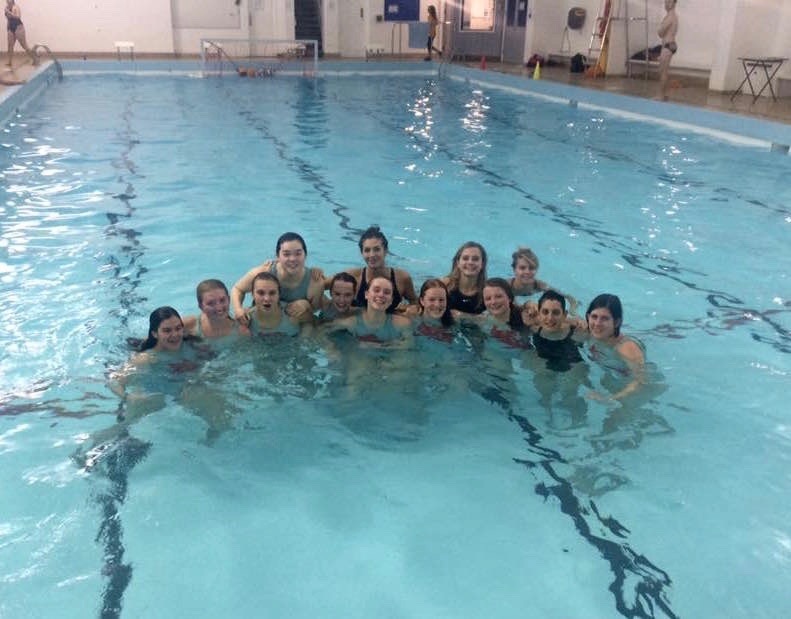 And wihle our game predominantly followed the rules of the sport, I’m sure the women’s team can let you know how their subsequent ‘water polo game’ against the KCL women went. Hint: slightly less rule-abidingly. 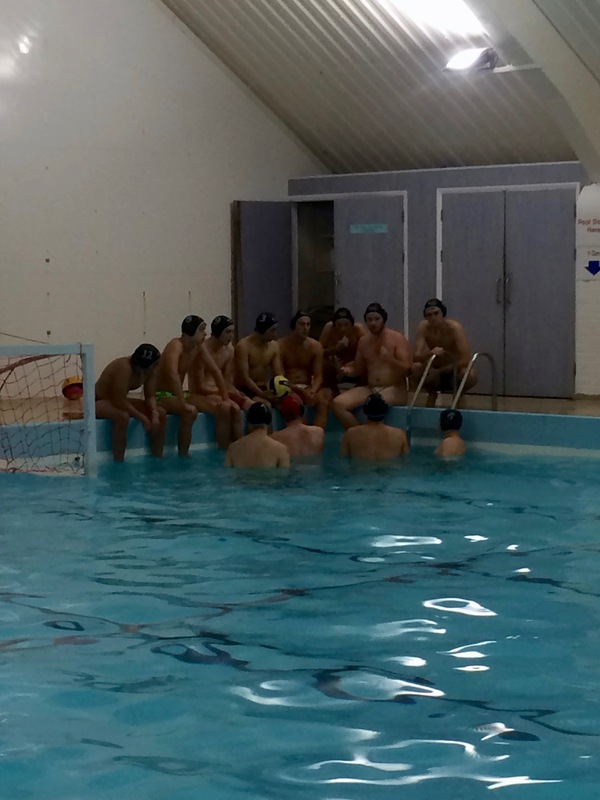 The new year is upon us, and with it a new season of water polo, filled with BUCS matches, socials, and varsity! 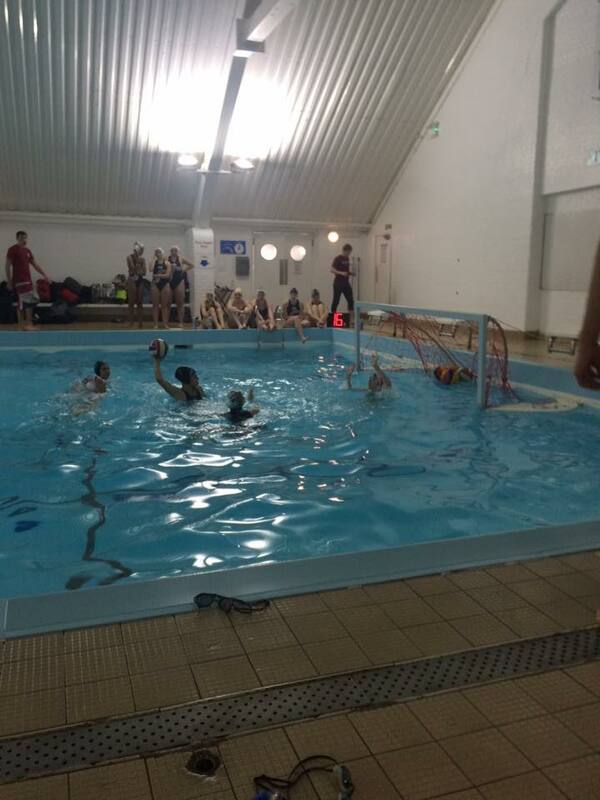 If your interested in joining the men’s or women’s water polo team drop by our stall at the freshers fair, sign up, or come down to trials! Feel free to message us on facebook or contact the women’s captain, Laura Schubert (ls668), or the men’s co-captains, Rob Gourely (rg528) and Joseph Wu (jw895), if you have any questions! 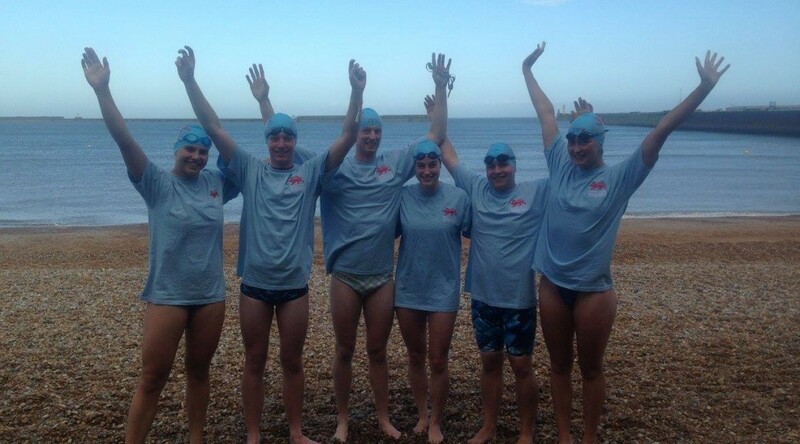 Any swimmers looking to join the team, our trials are on the 7th of October from 7pm (sign up sheet is below) at the Parkside Pool, Gonville Pl, Cambridge CB1 1LY. 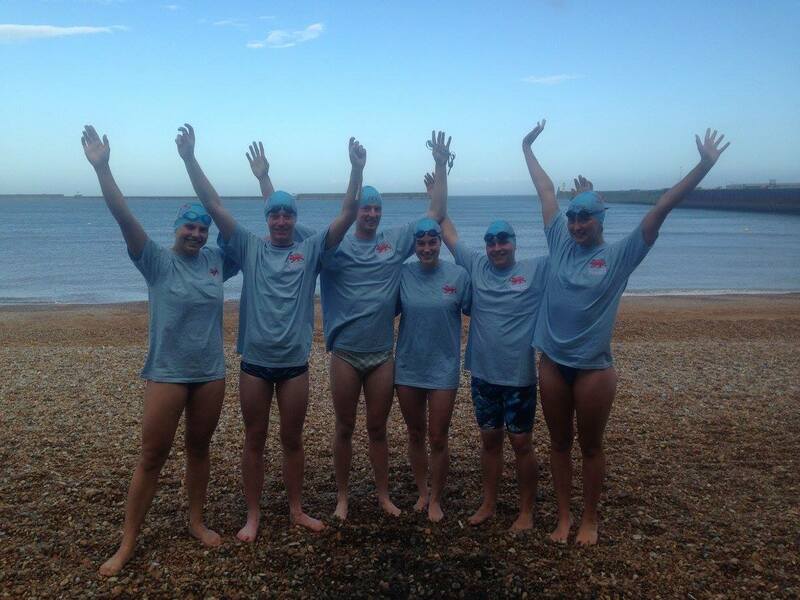 Check out our Facebook page for more information (https://www.facebook.com/camswimming/) or email team captains, Dominic Holloway and Amy Felgate with any questions.